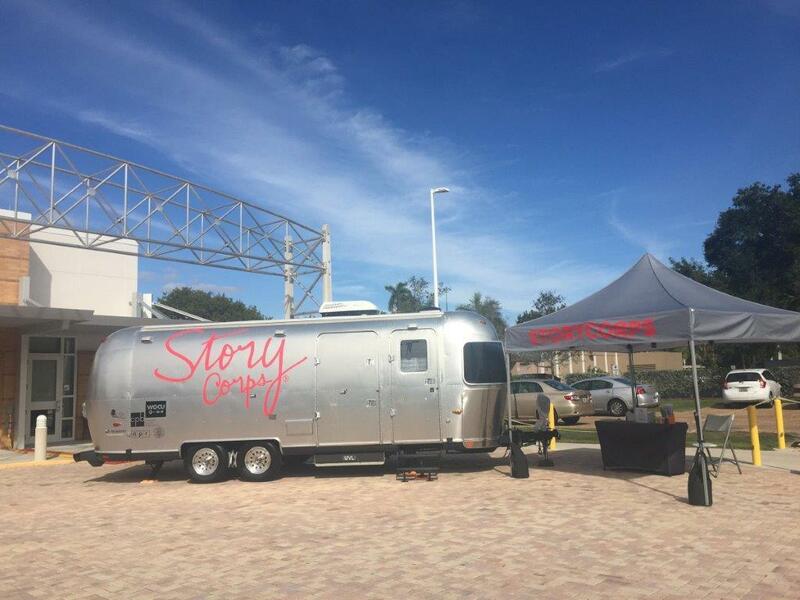 WGCU was proud to host the StoryCorps MobileBooth in January and February 2017 at the Fort Myers Regional Library. While there, the crew recorded more than 140 interviews between southwest Florida family, friends and loved ones. They will be archived at the Library of Congress. WGCU has selected some of them and is airing them on the radio, archiving them here and uploading them in places where you listen to podcasts. National StoryCorps interviews can be heard here. First Generation Asian Americans, Nina Chen Langenmayr of Bryn Maur FL, and her sister, Stacey Cannington of Fort Myers, talk in this week’s StoryCorps of southwest Florida about their parents immigrating to the United States from China in the 1940s, assimilating to American culture, and moving to Kissimmee before Disney. I Don’t Have to be Like Everybody Else. I Just Have To Be Me. 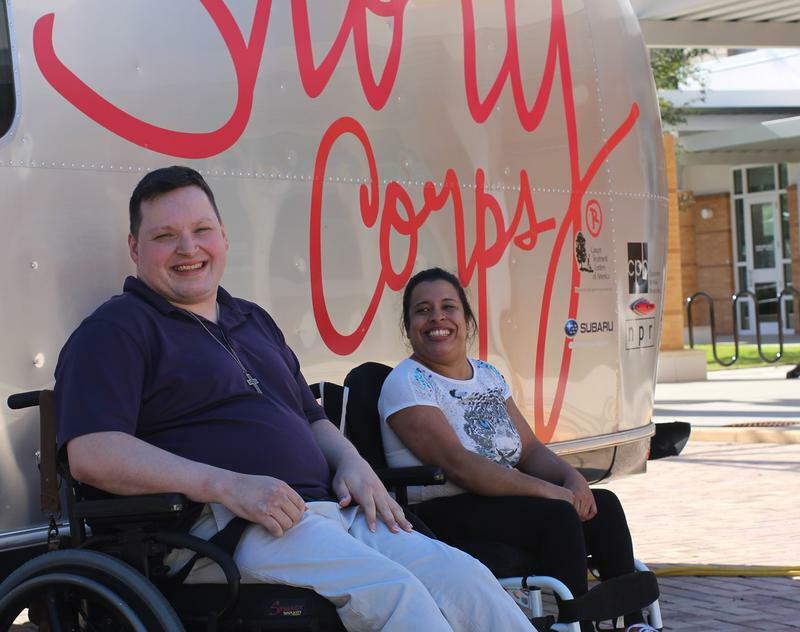 36-year-old James Pickett of Labelle interviews his friend, 30-year-old Stephanie Serrano of Fort Myers in this week’s StoryCorps of Fort Myers. They share their faith in God, their friendship, and their experiences with cerebral palsy. In this week’s StoryCorps of southwest Florida, 70-year-old Anne McCrary Sullivan talks to her domestic partner, 64-year-old Lynn Webster, about the profound sense of emotions she experiences when visiting certain places. Sullivan was an artist-in-residence at Everglades National Park. 71-year-old Martha Bireda speaks with her son, 43-year-old Ja-ha Cummings, in this week’s StoryCorps of southwest Florida about their ancestry and their roots in what was then a segregated Punta Gorda. 71-year-old Martha Bireda speaks with her son, 43-year-old Jaha Cummings, in this week’s StoryCorps of southwest Florida about their ancestry and their roots in what was then a segregated Punta Gorda.